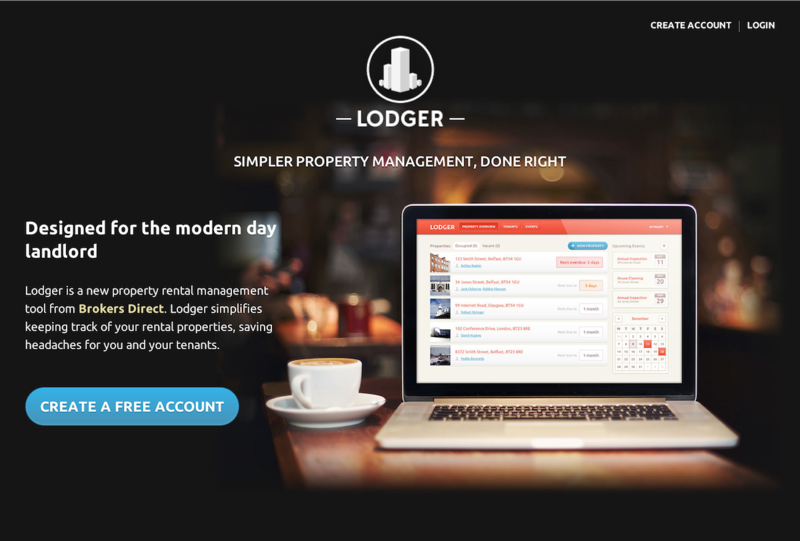 Built by Brokers Direct, Lodger is a simple property rental management tool. There are many of these on the market, but one thing they lack is an attractive and manageable interface. Lodger is powered by Ruby on the Rails framework, designed with the intention of giving landlords a simple overview of their rental properties. No unnecessary features. No bloat. An app anybody could use. Having spoken to many landlords, it’s apparent the current offers for rental management software on the market are unnecessarily complicated. In fact, one landlord even revealed they pay someone to manage the software for them. From our point of view, this is money that doesn’t need to be spent, especially when the cost of some of these programs is already very high. We’ve been warned many landlords can be slow to uptake new technology, preferring to rely on their trusted means of managing their portfolio with pen and paper. We’re hoping Lodger bridges this gap, giving reluctant landlords an accessible means to manage their properties online. Of course, with this being the alpha, Lodger is not quite feature complete. What does this mean? It means there is scope to grow and we are aware of that. It also means you may run into bugs, and we are using the alpha to study user feedback. By providing feedback and suggesting features, we are confident we can hone future releases of Lodger into the perfect companion to manage your properties.